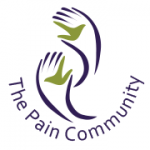 Home Page › Forums › Welcome to The Pain Community › Hello! I’ve never reached out for support from a pain community before but it’s about time I did!! I’ve been living with chronic pain for 16 years. I have chronic Lyme disease which has caused fibromyalgia, neuropathy, arthritis, migraines, etc. etc. I’ve been treated for my pain with opioids since 2004 but my doctors over the years have either retired, died, or didn’t feel comfortable dealing with pain patients in our newly restrictive society. I guess the reason I’ve never reached out before is because people are so biased against using opioids for chronic pain but believe me when I say I tried just about everything else first. As the therapies/medications didn’t work, I had to quit working, go on disability and became bedridden. Opioids saved my life and taken responsibly, they are sometimes the only relief a person can get. They saved my life. I have never gotten high or any kind of buzz, I’ve just gotten some relief from my horrible pain. And if people in these anti-opioid groups ever had this kind of pain, they would shut up pretty quickly. Doctors here have been so afraid…for YEARS…to prescribe opioids but my state passed a new law anyway so that hardly anyone prescribed them. This belief that they are everywhere and so many are addicted just isn’t true. I had a total knee replacement and a post connected to my tibia last year and was given six oxycodones. Six. Other than that, they gave me nsaids which I can’t take because of severe stomach issues, muscle relaxants that do nothing, and Tylenol. Ridiculous. Anyway, I’m looking forward to meeting some others who understand this level of pain and the problem of trying to fight with all of this going on. Pain management isn’t my only soapbox. Lyme disease is not understood and no one seems to want to. Doctors don’t know how to diagnose or treat it and before long, you end up like me. New here too. I second what you have posted about doctors prescribing meds. If only they experienced a few minutes of our pain they would change their tune. Welcome to The Pain Community (TPC). We are happy that you have joined our community and look forward to sharing with you and getting to know you. You are both correct there is a huge stigma in the general population and in the general medical community. The Pain Community has multiple ways of meeting and making new friends who do truly understand. 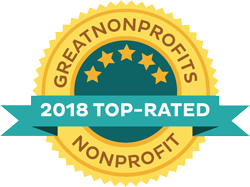 Monday-Wednesday-Friday, here on the website we have hosted chats where you can meet and talk to folks who do understand. Every Tuesday, we also host a support call, it is a conference call and it is free. Folks find the call refreshing because you can hear the emotions in the voices of others. The next support call will be, Tuesday, January 8th at 7pm ET, 6pm CT, 5pm MT and 4pm PT. There is no registration required and you can share as much or as little as you wish about your journey on pain. We hope that you will consider trying the calls.